Rustic luxury…a handcrafted log home delivers traditional log cabin charm with the all the sophisticated extras you need. The natural choice for an Alberta family home, a log house makes a strong statement in the best Edmonton neighbourhoods or on any acreage in Alberta. Choosing a log home built with premium large scale timber insulated against winter weather this is an investment you’ll appreciate day after day! 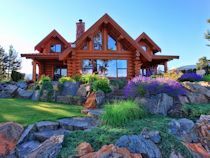 Building dream log homes for 40 years, North American Log Crafters is a trusted log home company serving Edmonton, Alberta and area Contact us now! You are unique and your log home should be too– especially when it’s going to last a few hundred years! 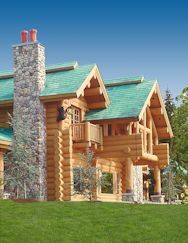 With professional log home designers to draw your plans you’ll avoid a cookie-cutter home and stand out from the crowd while the unsurpassed structural strength of Douglas Fir makes it a natural choice for long-lasting homes. Your log home will become an Alberta heritage home and a local landmark. Call Brian Toll Free at 1-877-955-2485 or email us for more information today! A modern log home is usually more “impressive” than “quaint”, a status symbol rather than shelter from the elements, but log cabin charm comes in all sizes. Is it time to enjoy the prestige of a log home that shows your country roots while it demonstrates your taste and style? Or have you decided that big isn’t always better when it comes to the log cabin home of your dreams? Build the perfect log home for your lifestyle and budget. With concerns about the economy, many people in Edmonton are thinking of downsizing or getting back to basics. We’ve got log cabin ideas to help you simplify your life away from the stress of the city where genuine handcrafted quality helps you focus on what really matters. For quick escapes, plan weekend getaways around mountain adventures or at the lake in BC with a cozy log cabin as your back country base camp. Go off-road for the best hunting and fishing knowing you can park your ATV beside your log home away from home and relax beside your rock fireplace. You don’t have to sacrifice comfort when you’re getting close to nature if your log retreat offers luxuries like a hot tub on your deck. Go ahead and say you’re roughing it! The modern custom log home is constructed from renewable resources, energy efficient and built with your comfort in mind. 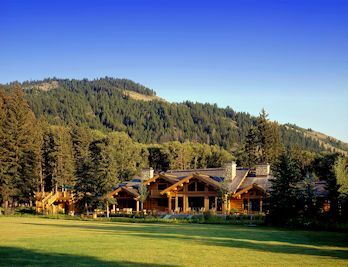 With hundreds of log homes behind us, we are always evolving to be compliant with strict building codes, safety standards and the specific requirements of our clients. The richness of wood adds rustic character to your family home or a vacation home. This is not just a place to live: a log home makes statement about traditions you value and craftsmanship you appreciate. Contact us now!